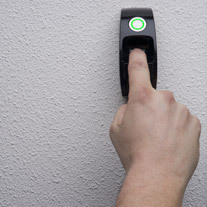 Using biometric access control provides an individual unique high security system. Biometrics or biometric authentication refers to the identification of humans by their characteristics or traits. Biometric identifiers are unique to individuals, they are more reliable in verifying identity than token and knowledge-based methods. Biometric identifiers are the distinctive, measurable characteristics.